When you've invested in a wheelchair accessible or specially adapted vehicle you're going to want to make sure it - and you - are well protected. You don't want to be left out of pocket should it be damaged or stolen. Unfortunately if you don't have suitable disabled car insurance that's exactly what could happen. But don't worry we are delighted to announce that ACR Car Sales have teamed up with Fish Insurance to ensure our customers can enjoy discounts of up to 35% on car insurance designed for people with disabilities, limited mobility or for those that drive for disabled people. Fish has over 30 years experience serving people just like you. No-one offers a deeper level of understanding or expertise of the issues you face and backs it up with insurance designed to provide the cover disabled drivers really need. That means that whilst many insurers might class you and your adapted vehicle as a higher risk and charge you a higher premium, Fish sees you as a lower risk and offers you discounts. For more details or a quote call 0800 046 9860 - don't forget to mention us here at ACR Car Sales. Our partner Fish Insurance has over 30 years experience serving people with disabilities or limited mobility and has used its expertise to create this handy buyers guide. These are designed for the mass market with simple quoting systems which often rely on yes or no answers. 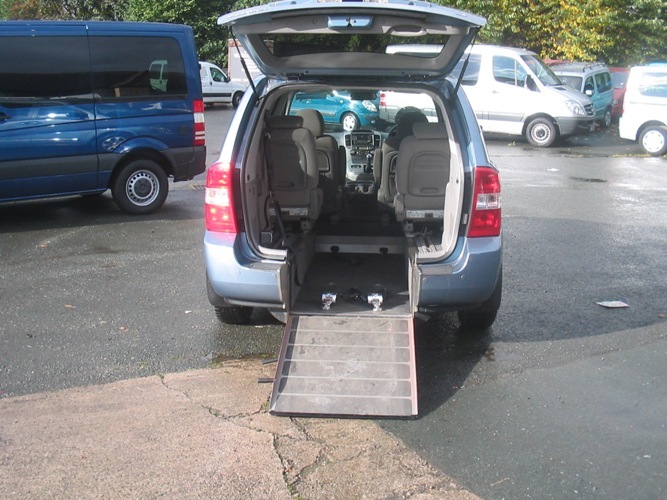 For example they may regard a wheelchair accessible or specially adapted vehicle as simply a modified vehicle and quote you more. This is despite Fish finding that typically they represent a lower risk. Cover to replace or repair your wheelchair should it be damaged or stolen whilst in your vehicle? Cover for mobility aids and personal effects? A suitable courtesy vehicle or mobility allowance? Is Legal and Breakdown cover included? It's often said that you find the true worth of your insurance provider only when you need make a claim. This is even more relevant when it comes to specialist areas which require specific experience and expertise. Make sure you are confident that you will be offered professional and sympathetic assistance that will ensure a swift and fair settlement. Don't just take the cheapest quote without checking the details. Make sure you are getting like-for-like quotes, looking not just at the headlines but things in the small print such as the required excess - the amount you must pay towards any claim you make. Insurers may reduce quotes by increasing the excess. If you have questions regarding buying car insurance suitable for owners of specially adapted vehicles, speak to an expert at Fish by calling 0800 046 9860. Don't forget to quote ACR Car Sales.